Different cuisines and cultures utilise various types of oil as a base – the main two in my upbringing were simply sunflower oil or olive oil. 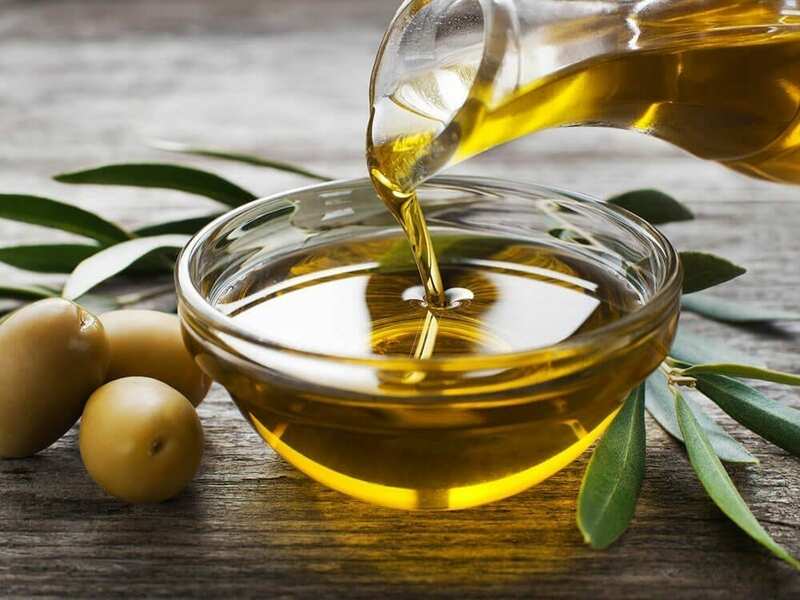 I remember olive oil being a pretty fancy addition to the kitchen, and only in the last twenty years has it become a staple in Britain, as it has always been in the Mediterranean. The rise of ‘Chefdom’, celebrity or otherwise, alongside the internet, cooking TV shows, health awareness, the reality behind mass-produced food, vegans, fitness culture, and a blending of all cultures in modern day society has resulted in worldwide foods becoming mainstream, household commodities. We don’t just cook what our mothers cooked anymore, we are constantly on the lookout for the latest ‘superfood’ or fad diet that will miraculously make and keep us well and healthy into our old age. We are educating ourselves, seeking and finding the truth about food, what it really is, where it comes from, what it does to our body and therefore the effect it has on our health. We no longer accept to ‘get what we are given’, we are no longer passive eaters or shoppers, we are on the ‘wellness warpath’! Oils have had their starring role in this play, every time a new one gets into the spotlight it becomes THE new “top of the grocery list item” in keeping up with the healthy diet and lifestyle craze that is continuing to sweep the world. A good thing I have to say, without it we would all still be assuming that plastic pink “ham” and stuff in cans in sauce is actually something we should be allowing our bodies to meet. So which oils are really good for you, and in what capacity? Where should we put what? Some are good for frying with, some you can add to a salad and also put in your hair – it is a confusing business – so here is a guide to the uses of and our top selection of some of the many oils out there. This guide should give you enough insight to make an educated decision when roaming the supermarket aisles. This classic and super-versatile oil is a worldwide staple. Nutrition and cooking experts alike agree that it is one of the healthiest oils around, being high in monounsaturated fats and some polyunsaturated fatty acids give it the edge on good heart health. If cooking at a high heat, or deep frying, you’d be better off avoiding olive oil as it has a fairly low smoke point (when the oil begins to break down, losing its benefits). A nice, spicy young extra virgin olive oil is fantastic on your salads, or just poured all over a nice hunk of seedy wholegrain bread. If you are going to cook with olive oil then do so for baking purposes. Hint: Do your research when selecting olive oil, make sure its “extra virgin” olive oil – which signifies that the oil is not heated in the extraction process. Don’t skimp on price, a quality oil will last and make all the taste difference. This oil had become a recent cosmetic trend for skin, hair, teeth and for having miraculous healing properties. For cooking, however, conflict arises when the discussion of its high saturated fat content comes into play. This doesn’t rule out the wonder oil completely as far as the kitchen goes, but perhaps not the best choice for those watching their cholesterol levels. Depending on who you ask, coconut oil should either be avoided or embraced in moderation. Of course we need to look at the science (currently inconclusive) behind saturated fats in order to make an educated decision on this – not all saturated fats are bad for you. Coconut oil works well for cooking at a high heat as it is more stable at higher temperatures and does not break down and smoke. Hint: If you suffer with high cholesterol or blood pressure use in moderation. A vague and confusing term, being named simply “vegetable” this oil can be derived from various plant sources and so to determine its properties and benefits is an impossible task. 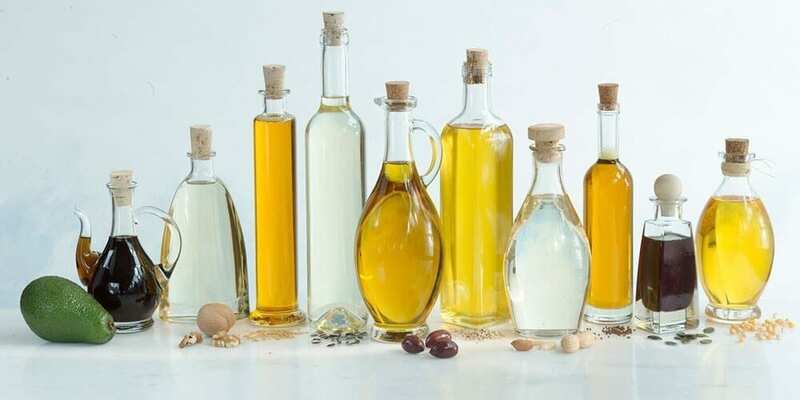 Most vegetable oils on the market are a blend of canola, corn, soybean, safflower, palm and sunflower oils, none of which are particularly good for you in this format; there are far better options out there for health benefits. Vegetable oil is generally heavily processed and refined, leaving a lack of nutrients and goodness. It is probably the worst thing we could choose to cook our foods in. I would advise to steer clear completely and replace with a good butter. This is mostly an American commodity worth avoiding. Taken from the rapeseed plant this oil has the least amount of saturated fats than its other vegetable oil counterparts. It also has good levels of mono-saturated and polyunsaturated fats. This oil can be used safely for high temperature cooking, as its smoke point is high. It is not known for its flavour so steer clear from dressing anything with this oil. Hint: Due to processing this oil can be stripped of nutrients so try to seek out unprocessed Canola oil to receive its true benefits. Its high smoke point makes this oil a great stir frying assistant and doesn’t overwhelm the dish with its own flavour. It’s a good all round cooking oil containing high levels of monounsaturated and polyunsaturated fats, vitamin E, and, big bonus points for being unrefined and avoiding the degradation of being processed. 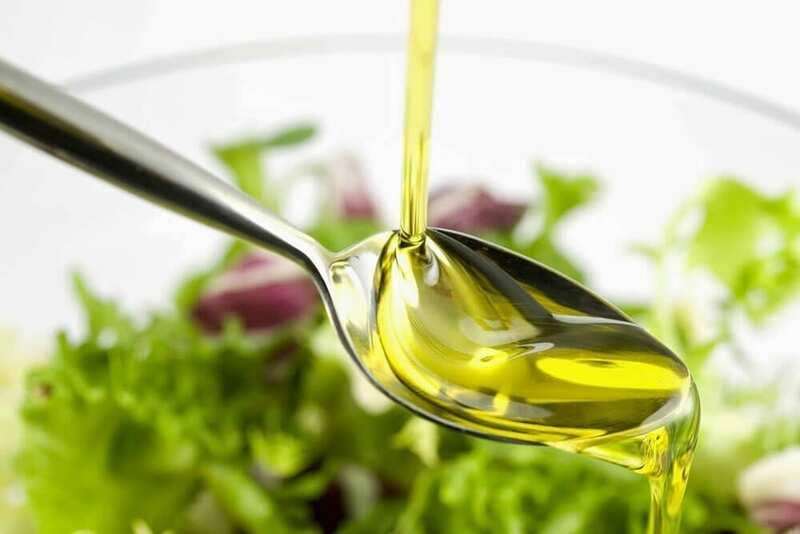 Avocado oil is also not a bad choice for salad dressing either considering its creamy, avocado-like taste. Hint: Sadly it has a downside, it is pricey. Cooking-wise this oil is pretty much a no-no due to its low smoke point and bitter taste when heated, however, it is the king of drizzle. Pour it, and its nuttiness, over fish, meat, pasta, pancakes, salads, and even fruits and desserts. Contributing a nutty undertone to sauces is a great way to utilise this delightful oil. There are some people out there that even allow a little in their frothy milk for their coffee. It has a good level of Omega-6 and 3 providing cardio-protection, lowering risk of heart disease and inflammation. Hint: Walnut oil is a great antioxidant, add it to your favourite de-tox juice or smoothie. Similar to the walnut variety in its properties, flaxseed oil is high in omega-3 serving well as an alternative to fish oil. It has a very low smoke point, which means it also isn’t at its best when heated, so steer clear of this one when cooking at a high temperature. High in polyunsaturated fatty acids it is a handy helper for decreasing inflammation. Also a good source of protein and fibre, this hearty oil can really help achieve a balanced diet. Studies have shown that flaxseed can also help to keep your bowels regular, and improve heart health by reducing blood pressure and increasing the elasticity of the arteries. Hint: A little flaxseed oil in your diet can help with improving your skin hydration and texture and may even help with skin problems such as dermatitis. This healthy-heart oil is a staple in Asian cuisine. The two types having different uses: light for cooking and dark for dressing and sauces. Sesame oil has a strong, distinct flavour which really contributes to enriching the flavour of dishes but be careful to use it sparingly so as not to overwhelm a dish. It contains both monounsaturated and polyunsaturated fatty acids, however its nutrient rating is not that brilliant. It boasts one of the highest smoke points and so is good for use in high-temperature recipes. Hint: Mostly used for its flavour and despite being on the health-heart oil list it is not highly rated for its health benefits.